I’ve really had a bee in my bonnet lately about my 30 Before 30 list. My deadline is quickly approaching, and with all the wedding planning I’ve been doing, my list has been thrown to the wayside. But, I’m getting a move on and I have somewhat tried to plan out when I’ll be making what next. Clearly I’ve been putting off some of the more difficult items (at least I assume they are difficult…). I had planned to make just horseradish scalloped potatoes this weekend, but while I was at the store, I noticed that top sirloin was on sale, so I picked one up to make my individual beef wellington. 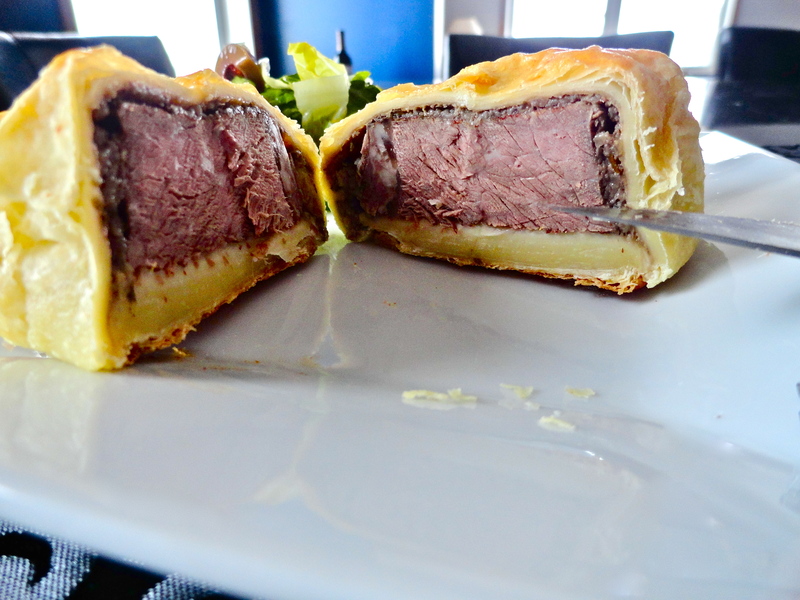 I’ve only eaten this dish once, and if you’ve ever watched Hell’s Kitchen, apparently beef wellington is the most difficult thing in the entire world to make well…at least according to Chef Ramsey. Or maybe he just likes to yell 😉 That being said, I was certainly hesitant to make this. I’ve also never worked with puff pastry, but how hard could it be, right? Oh, you want to know how they taste?? Yes, let’s get to that. In a minute. 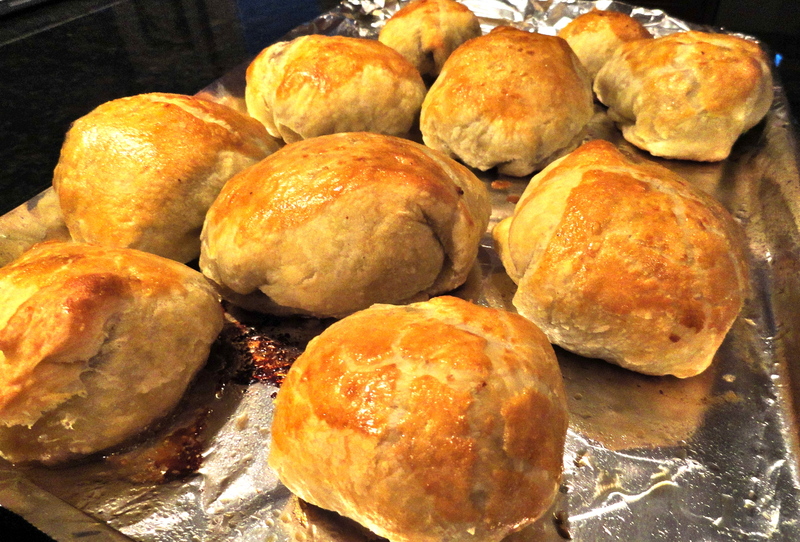 Duxelles is what is lines the insides of beef wellington. I never knew exactly what this was, but turns out, it’s basically just a mixture of mushrooms, shallots and herbs. And let me tell you, just making the duxelles filled my house with such a rich aroma, I was dying to eat it with a spoon. But I didn’t. The steak made the smell even better! I put it in a sizzling hot pan and just seared both sides quickly. Once it was cooled, I coated them in seasoning and let them rest. My house smelled AMAZING! Once the puff pastry was thawed, it was pretty easy to work with. I laid it out on a floured surface, and gently rolled out each piece. They weren’t perfect or anything, but hey, whatever gets the job done. Okay, okay. So how did it taste? Well, I must say I make a very good beef wellington! Nate absolutely loved it! I don’t think it even spent much time on his plate before it was gone and he was ready for another. 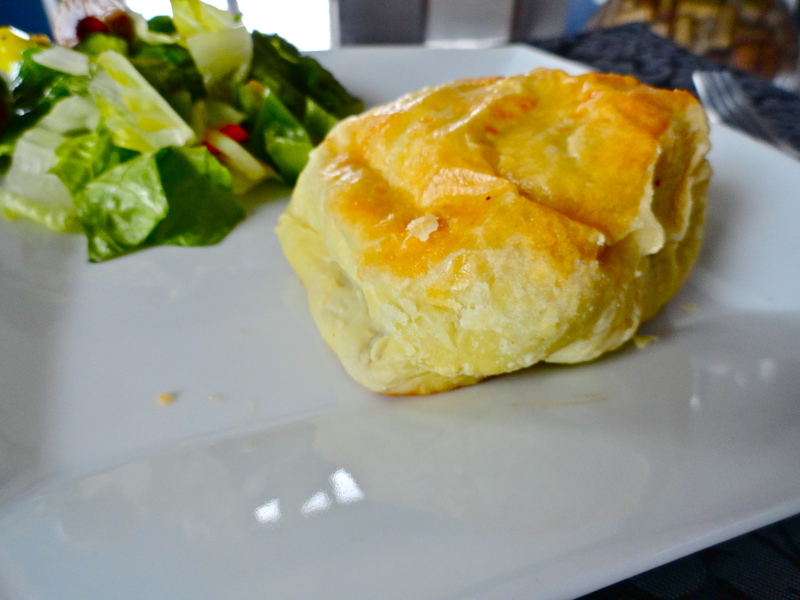 The beef was cooked just barely over medium (so certainly room for improvement), but all the seasonings with the duxelles and the flakey butter puff pastry – YUM! These would be great for a party too. To make as an appetizer, just cut the meat even smaller so they can be 1-2 bite sized. 1. Preheat oven to 425 degrees. 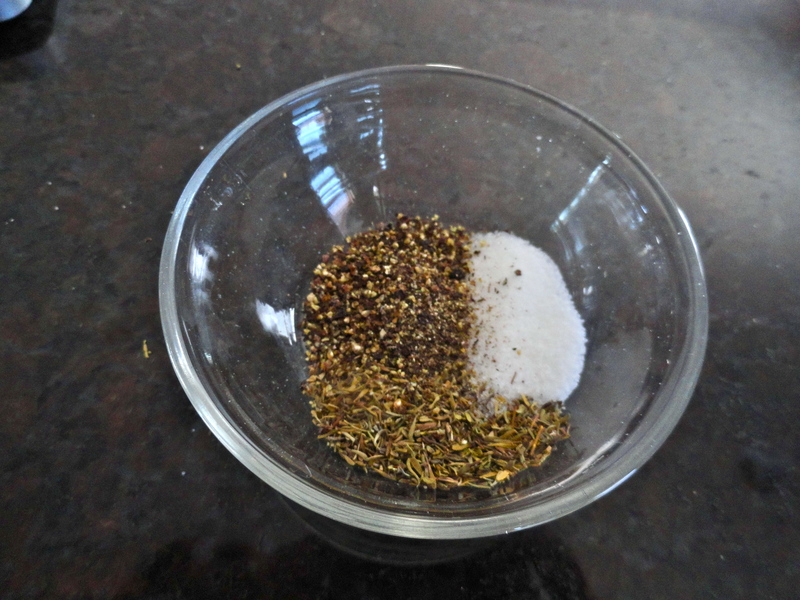 In a small bowl, combine salt, pepper and thyme. Set aside. 2. The bowl of a food processor, combine garlic, shallots, mushrooms, red wine, olive oil, rosemary and half of the thyme seasoning mixture. 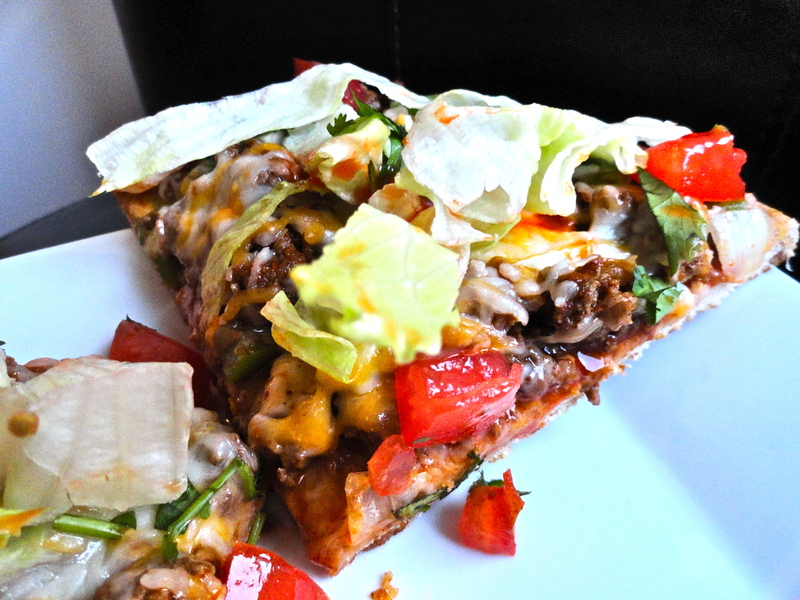 Process until all ingredients are finely chopped and well combined. 3. Transfer mixture to a medium skillet and saute until most of the excess liquid is gone, about 10 minutes. Set aside. 4. Trim any fat from the beef and cut into 2×2 inch chunks. Place in a bowl and toss with remaining thyme seasoning mixture until all pieces are well coated. 5. 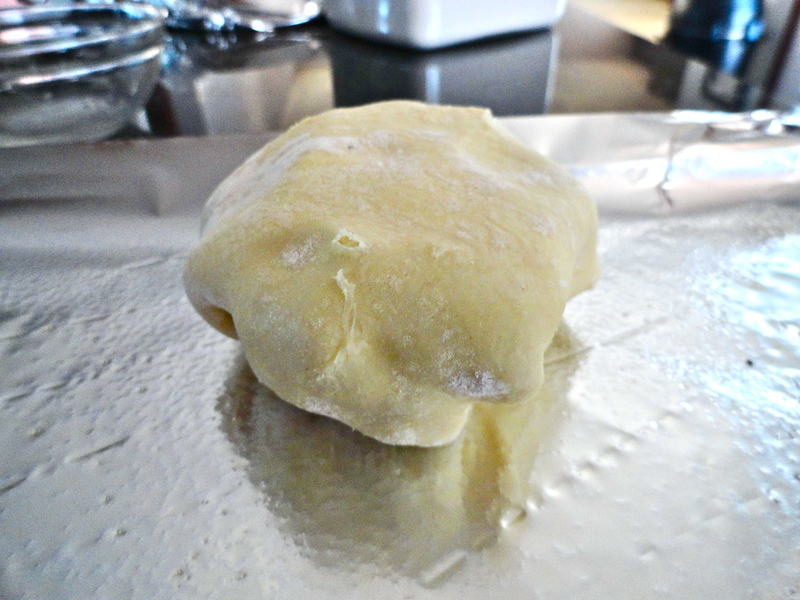 Once puff pastry is thawed and ready to work with, roll out on a lightly floured surface. Cut puff pastry into as many pieces as you have beef pieces, making sure they are large enough to completely wrap around the beef. 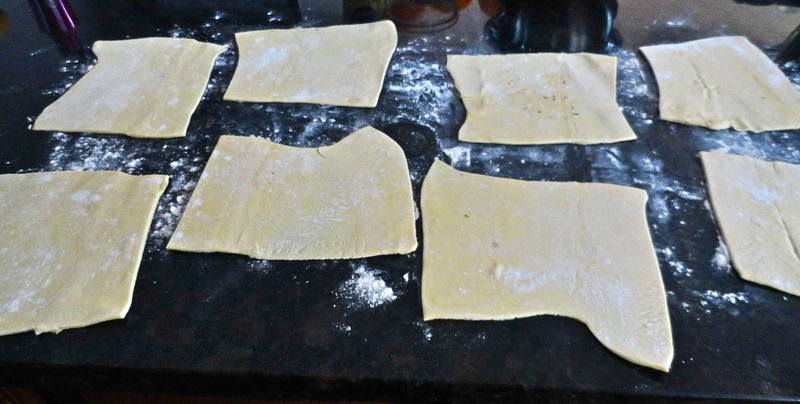 Spread a thin layer of the stone ground mustard on each piece of puff pastry. 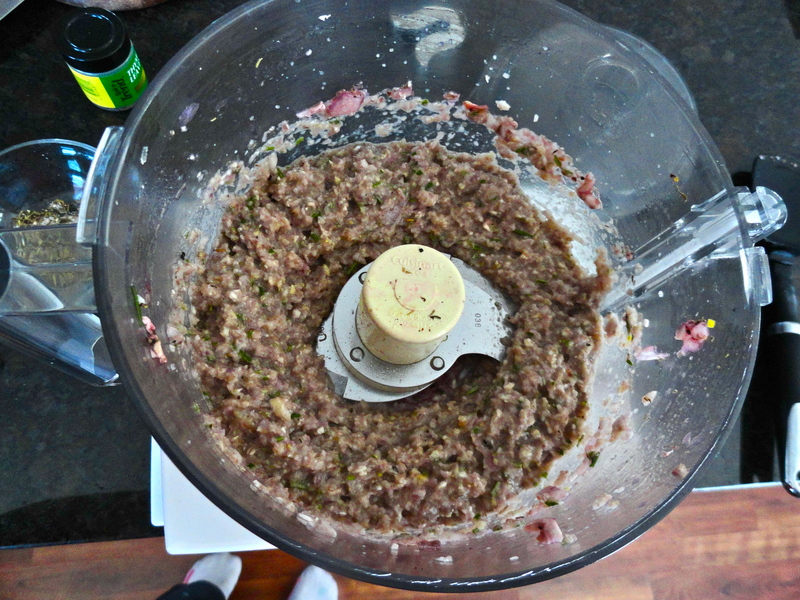 Then spread a thin layer of the duxelles on each piece, about 1 tbsp each, leaving a small border. 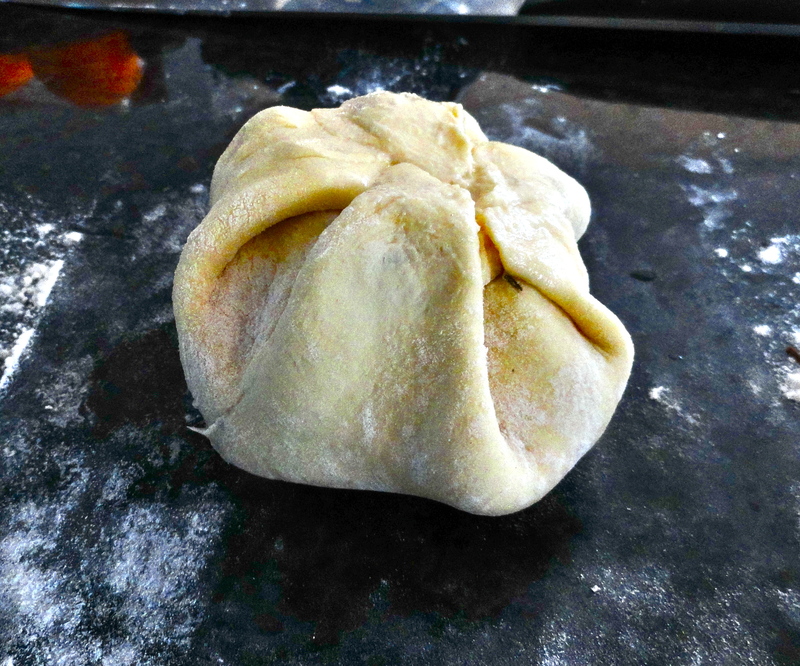 Place beef in the center of the puff pastry and carefully wrap. Place on a prepared baking sheet, seam sides down. 6. 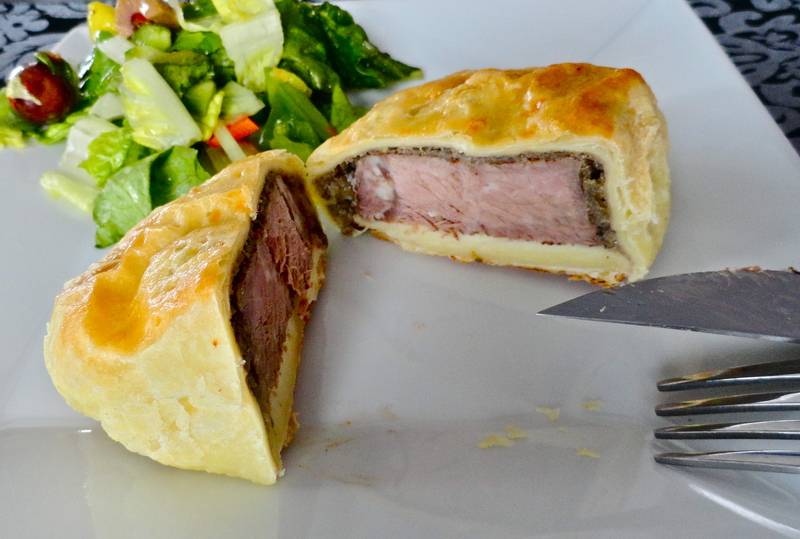 Brush each wellington with egg and poke holes in the tops with a fork so they are able to vent while cooking. Bake for 20-25 minutes, until puff pastry is golden brown and flaky. I’m always on the lookout for a new burger to try (enter Bobby Flay into my life), and many times I make them into turkey burgers. I saw a recipe for California Roll Burgers, and I love sushi, though california roll really isn’t a usual order for me, but I thought I’d give it a whirl anyway. I did use beef, as Bridget said she tried turkey it in the past, but the turkey flavor didn’t stand up to the crab. I ended up altering the recipe a bit, only because Nate couldn’t find nori at the store, and the avocados were rock hard. So, seeing as though two ingredients that pretty much epitomizes California rolls were unavailable to me, I had to change the name to surf and turf burgers. I have never used fish sauce before, and I got a little concerned when I was adding to my beef, as it smelled really strong. My cats sure were getting excited though! The end result was really good. The wasabi soy mayo was a nice kick, but definitely not too over powering. 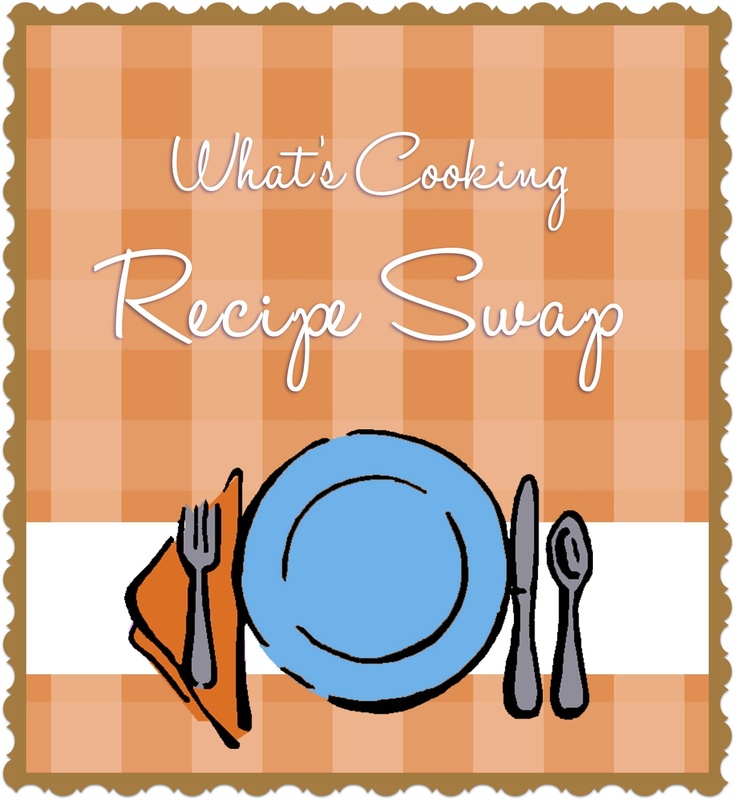 The beef was seasoned perfectly, and the crab mixture was a perfect finish. 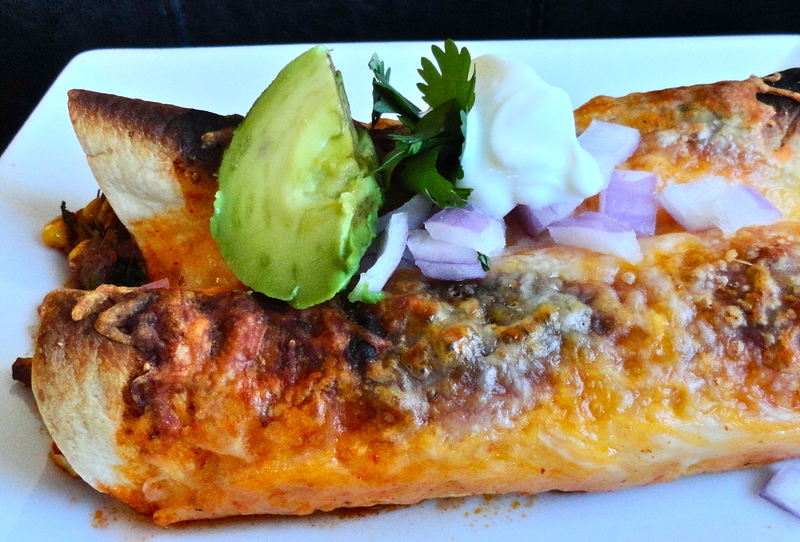 I would have loved to have avocado to add a little creaminess, but it was still lovely without it. 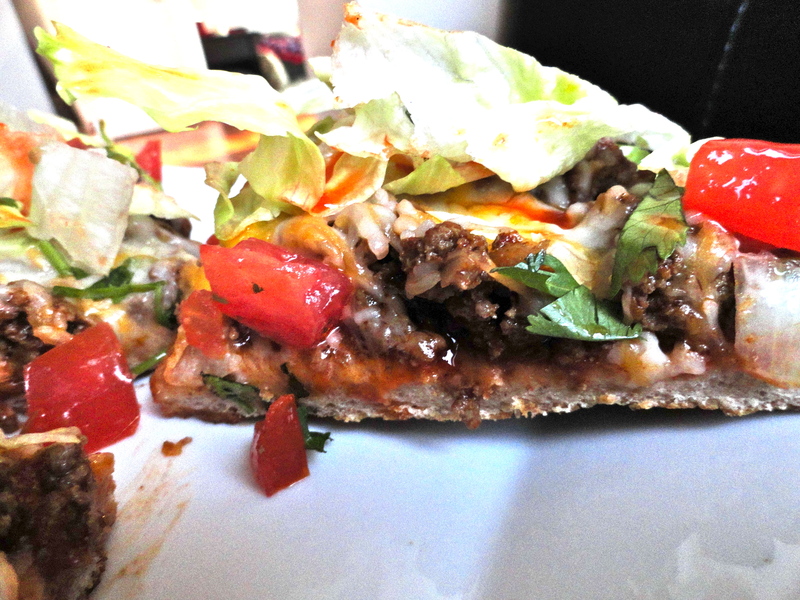 Certainly, this is an outside the box burger, with flavors that almost everyone can appreciate. 1. In a medium bowl, combine ground beef, fish sauce, sugar, and pepper. Mix gently with your fingertips, then begin to form into patties. Set aside. 2. In a small bowl, combine crab meat and 2 tbsp mayonnaise. In another small bowl, mix together remaining mayonnaise, Greek yogurt, wasabi powder, and soy sauce. Set both bowls aside. 3. Grill burgers to preferred doneness. When the burgers are almost done, toast the hamburger buns. 4. 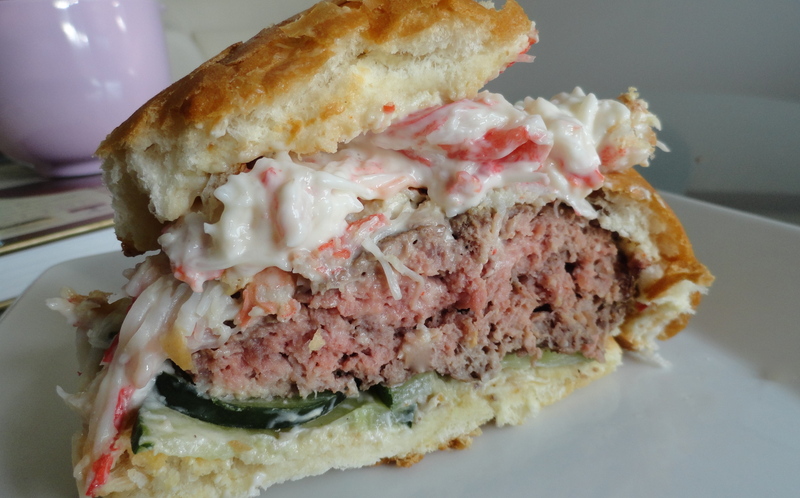 Spread wasabi mayonnaise on both sides of the buns, add cucumbers, burger, crab mixture, sprinkle with sesame seeds, and top with bun. I do enjoy French dip sandwiches, and I also love using my slow cooker, so I thought this was really a no brainer. The beef cooks for several hours in juicy broth with onions, and it’s so tender, you can literally peel the meat off with tongs as you build your sandwich. 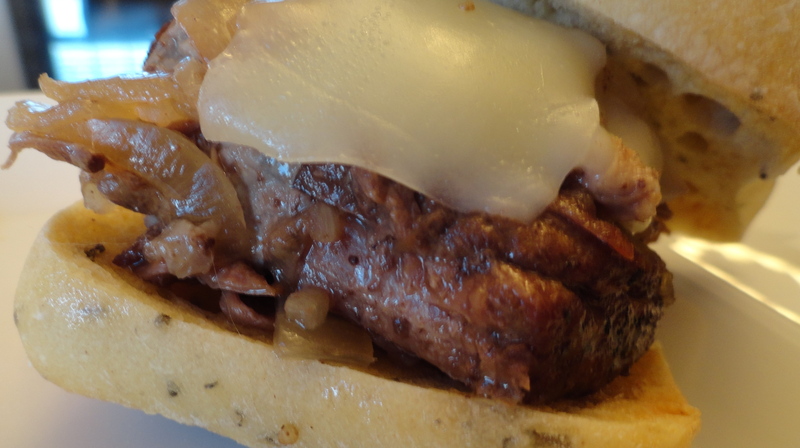 The onions get super soft and add a little sweetness to the broth and your sandwich, for a perfect combination. Top with some provolone and horseradish if you wish, and viola! I used two cans of broth with this recipe, but the first time I made it, I used one can of broth and a beer. My parents aren’t beer drinkers, and my dad seems to be able to pick out the taste, regardless of what it’s cooked in, so I didn’t want to use a beer this time around. 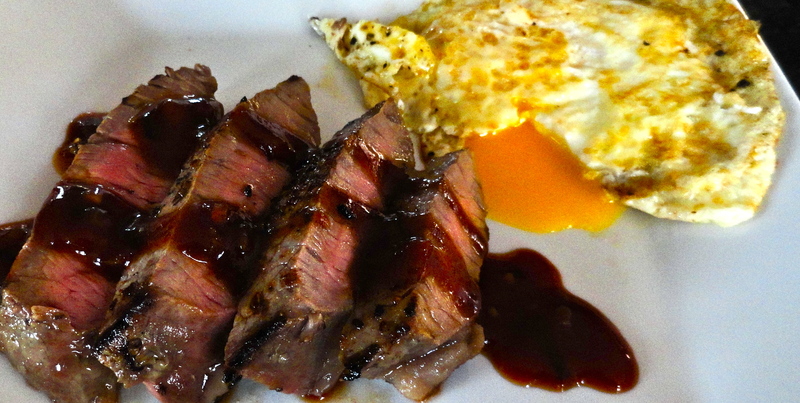 The alcohol in the beer of course cooks out, but the flavor is intensified making a more flavorful au jus and it seems to tenderize the meat a bit more. Do what you like and what fits your tastes. 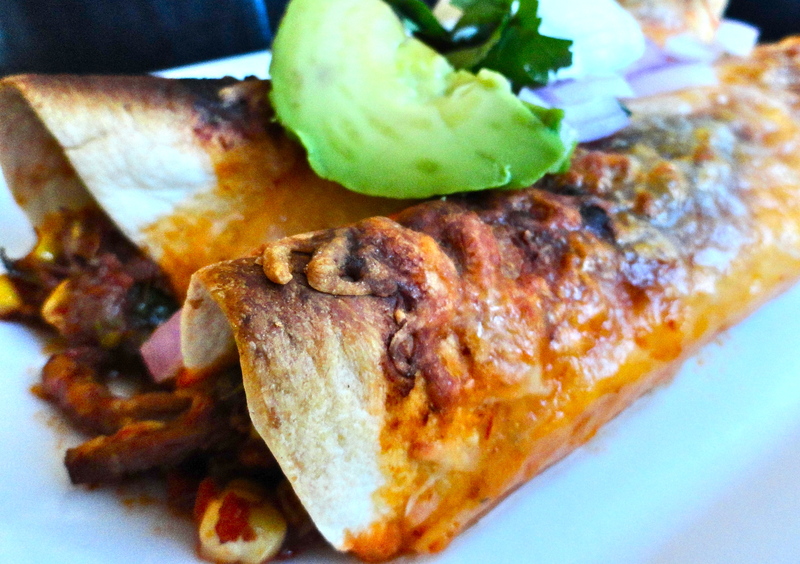 Unfortunately, this was the last meal my slow cooker will be making. There was a large crack, which leaked much of the juicy goodness onto my counter 😦 Guess I’m in the market for a new one. Any recommendations? 1. In a large skillet, heat olive oil over high heat. Salt and pepper both sides of the roast. Sear until browned, about 3 minutes each side. 2. Place 1/2 the onions in the bottom of slow cooker. Add seared roast. Sprinkle with onion soup mix. Add remaining onions. Pour beef broth (and beer if using) over roast and cook on low for 6-8 hours. Roast should be very tender and shred easily with a fork/tongs. 3. Preheat broiler. 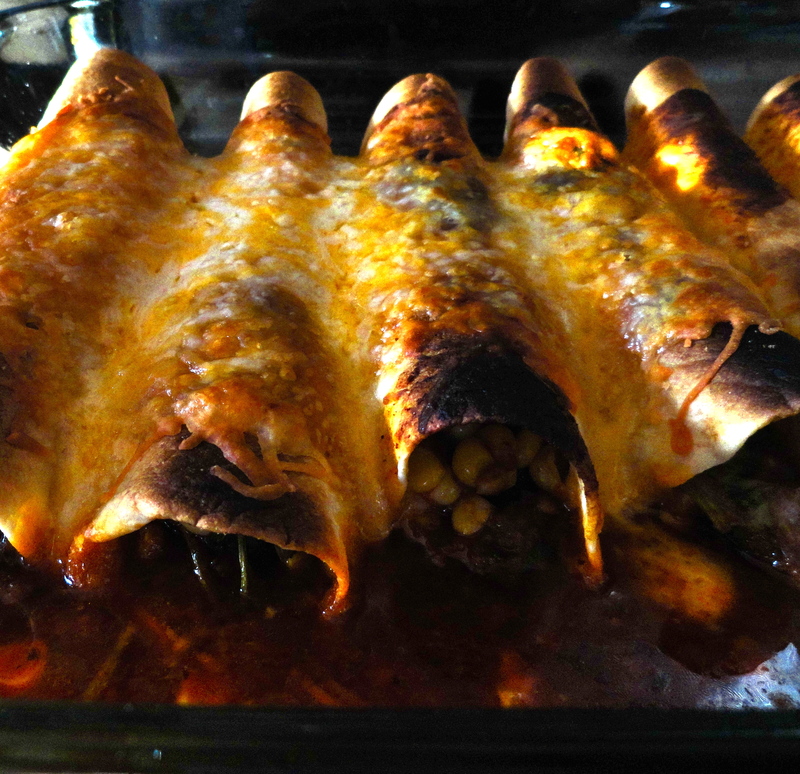 Spray rolls with olive oil and place under broiler until brown and crusty, 3-5 minutes. 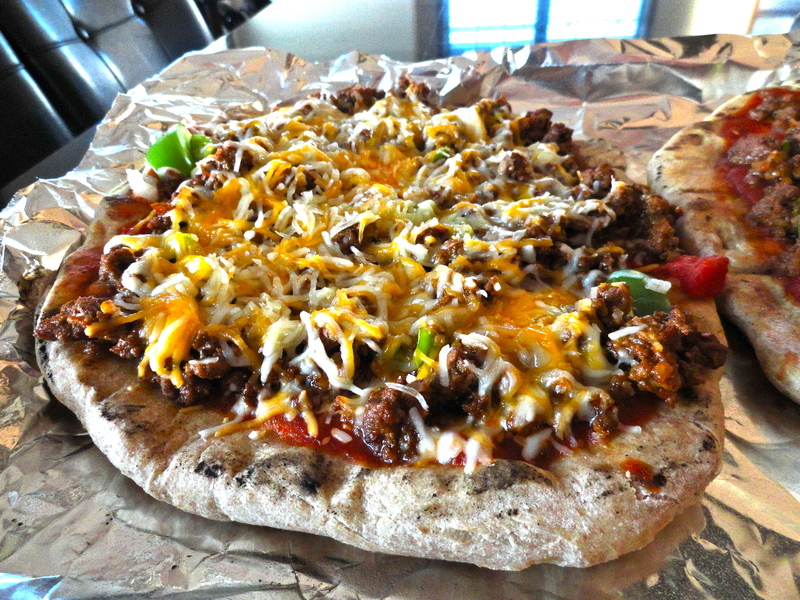 Top rolls with shredded beef, onions and provolone and place under broiler for one minute more, or until cheese is melted. Unless you don’t eat meat, I’m not sure I know anyone that doesn’t like a really good steak sandwich. I took all the greatest elements out of the sandwich and added them to a salad. While salads are usually pretty simple to make, this one is busy – a lot of elements, but trust me, it’s totally worth it. 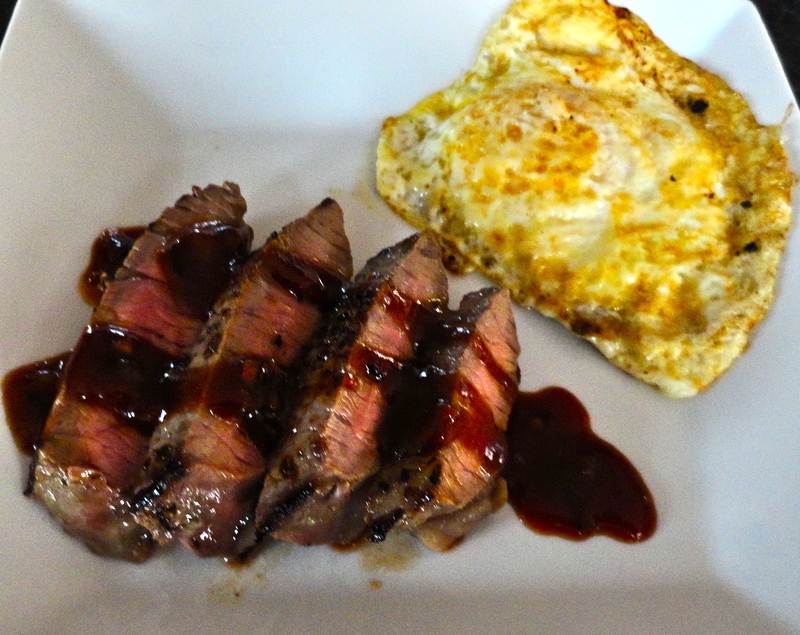 For extra flavor, I marinated the steak in a black pepper sauce, but it isn’t necessary. Salt and pepper would be just fine. 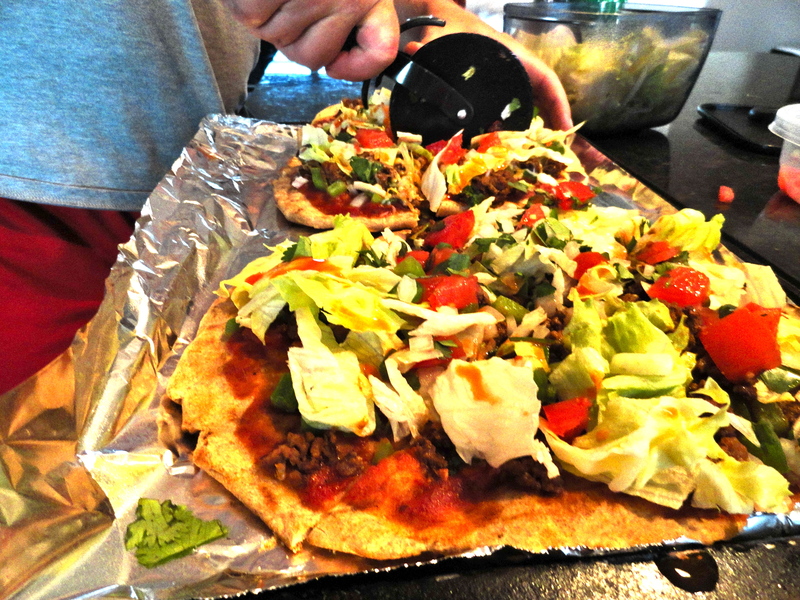 The crispy onions strings and homemade balsamic vinaigrette are an added bonus! I don’t like to overload my salads with meat, so one 8 oz steak is plenty for Nate and me for dinner. Of course you could add croutons and/or a good cheese if you feel it’s necessary. 1. In a small pan, heat olive oil over low heat. Add 1/2 of the sliced onions and cook over low heat to caramelize, about 15 minutes. Add green peppers for the last 5 minutes of cooking. 2. Meanwhile, cook steak over medium heat (or grill) to desired doneness. About 5 minutes on each side for medium. Let sit for 5-10 minutes before slicing. 3. In another pan, heat 1/4 cup olive oil over medium high heat. 4. In a small bowl, add remaining sliced onions and buttermilk. Toss to coat. In a shallow dish, combine flour, paprika, salt and pepper. Dredge onions in flour to coat. Repeat dipping onions in buttermilk and then flour so they are double coated. Add coated onions to hot oil and fry for 2-3 minutes, until golden brown. 5. 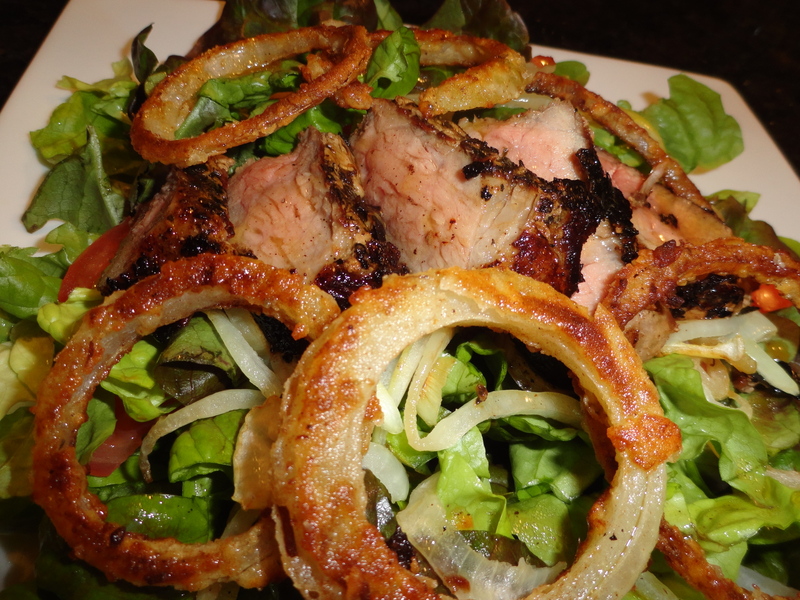 Construct salad by adding lettuce and topping with chopped tomatoes, camelized onions and peppers, sliced steak, and crispy onion strings. Finish with homemade balsamic vinaigrette. 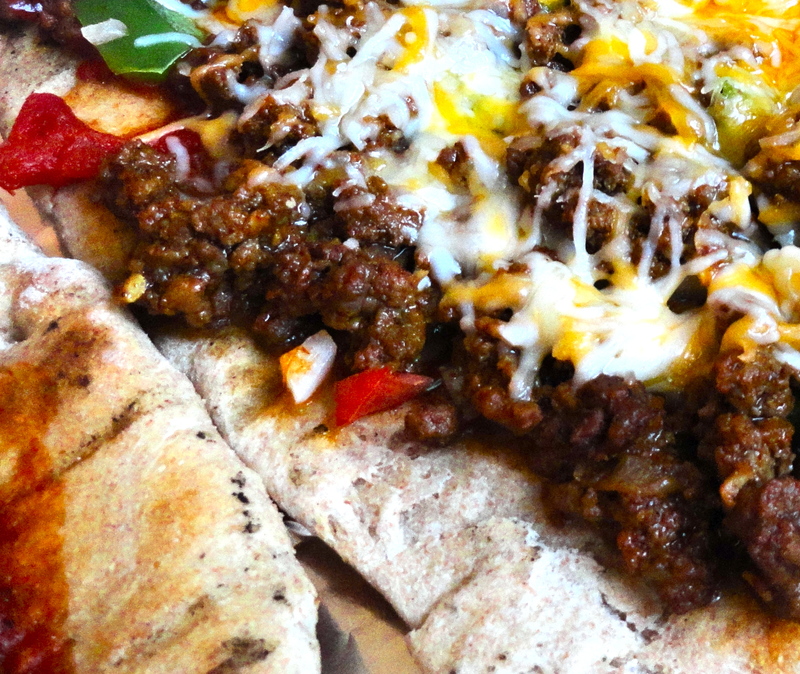 Of course you could add your favorite cheese if you like, possibly a swiss or provolone.